Fractional Charting is a great tool to help you envision how a race will unfold while determining which runners might have a pace advantage or should be able to successfully step up in class. 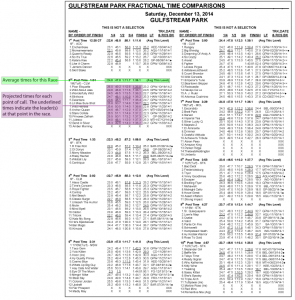 Unlike traditional past performances, Fractional Charting includes projected interior and final times based on a par-time-by-class standard that takes into account the subtle differences among race tracks across the country. Since the times have been normalized to reflect today’s race conditions it is now easier to compare past performances even if the horse is moving tracks, distances, surface and/or class. 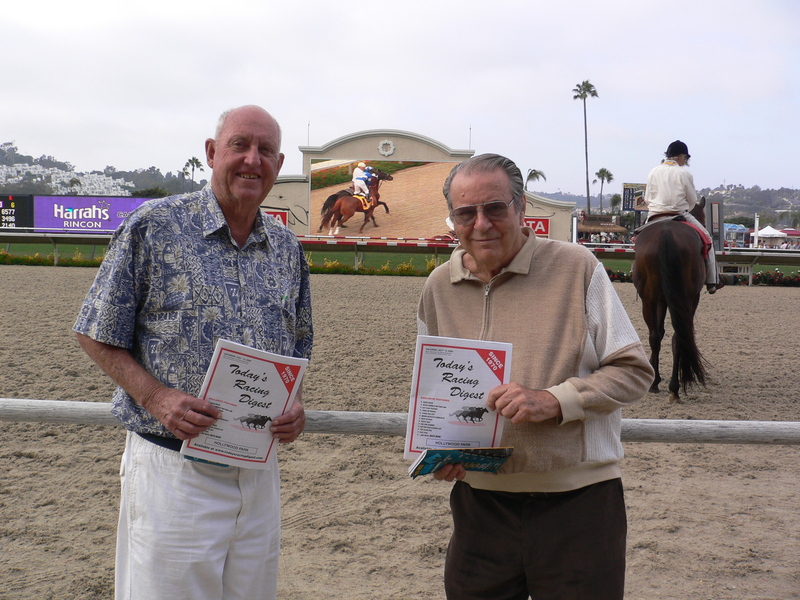 Each race horse is ordered by the fastest final time at the top. Par for the class is also listed in bold type above the race. This is useful in determining which horses are a strong fit for the class. The fastest times at each point of call are underlined so you can quickly see who is on the lead at anytime throughout the race and who may have a pace advantage. The fastest finish times are also listed. These times take special significance in turf races where closing kicks take on added importance. This allows you to quickly see potential pace scenarios and race shapes take place before the race even begins. Pay special attention to those horses that have the fastest final times. 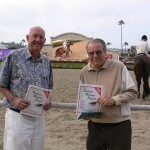 Also when looking for contenders consider any horse charting within 5 lengths (one second) of the top horses final time. With Fractional Charting’s projected times for each point of call throughout the entire race you can quickly identify pace scenarios that would otherwise go unnoticed. 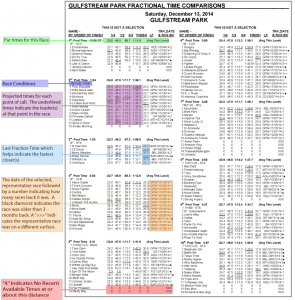 Unlike traditional handicapping products that require years of experience to learn to identify pace scenarios and race shapes Fractional Charting does the work for you by adjusting the raw past performance times to reflect today’s race conditions and then ranking the horses by the order of finish. 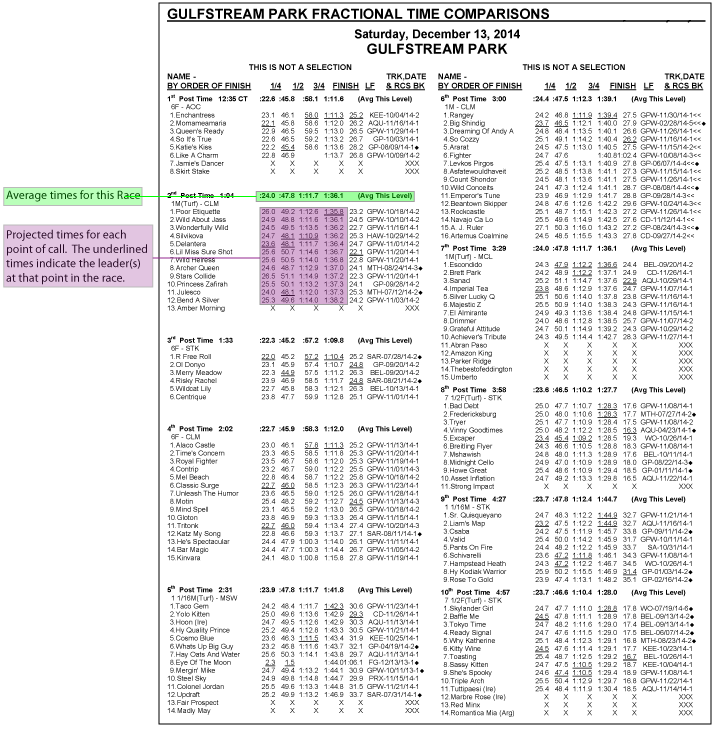 The times shown at each point of call are expected times each horse should run in today’s race. The fastest time at each point of call is underlined making it easy to quickly identify the leader at each point in the race. The image to the right shows you the different features included in each Fractional Charting. Download a pdf of the image. Each race includes the Average Winning Times for Today’s Race at the top of the Fractional Charting. These average times take into account today’s race class level, track, distance, and surface. The average times have been compiled and regularly updated in our extensive database for over 45 years. These are the most accurate average times available anywhere. You can use the Average Times to help get a better understanding of what is expected from the horses in this race at each point of call. By comparing the Average Times to the horses expected times you can quickly see which horses can or cannot compete at today’s race level. This makes it easy to begin to narrow down the field of contenders. If none of the horses can compete at today’s race level then chaos may ensue opening the race up for potential long-shots or unlikely favorites. With Fractional Charting’s simple to use layout you can easily visualize how the race will unfold to uncover potential speed duels, unexpected late runners, likely front runners and the swiftest closers. Each race horse is ordered by the fastest final times. Pay special attention to those horses that have the fastest final times. Horses that are only 1 – 3 lengths back in the Fractional Charting often offer good value on the tote board which can lead to bigger payouts. 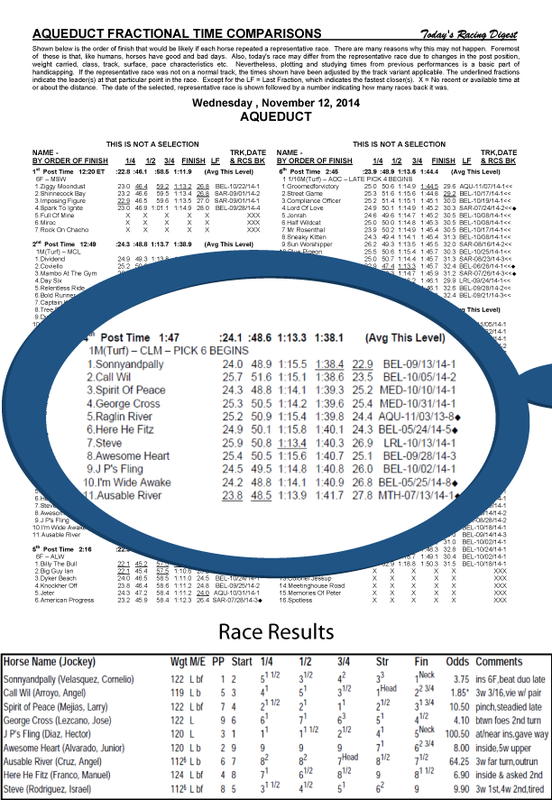 The best way to quickly uncover hidden value and identify horses capable of winning in today’s race is to identify any horse charting within one second (five lengths) of the chart-topper. These horses that are within one second of the fastest time should be considered capable of winning in today’s race. In the example to the left on April 25th at Gulfstream in the 3rd race we see the potential for a speed duel between Chico Grande, Galardonado and Face Of Winner. All early projected fractions are within a few lengths of each other. 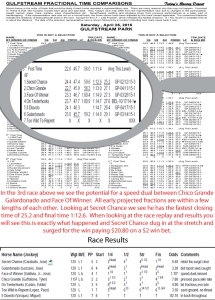 Looking at Secret Chance we see he has the fastest closing time of 25.2 and a final time of 1:12.6. In this race Secret Chance was overlooked in the betting due to the early speed of the favorites. With Fractional Charting you can now easily uncover the potential for favorites to get into a speed duel and if that happens who has the best chance of winning the race. When looking at the race replay and results you will see a speed duel is exactly what happened and Secret Chance dug in at the stretch and surged for the win paying $20.80 on a $2 win bet. 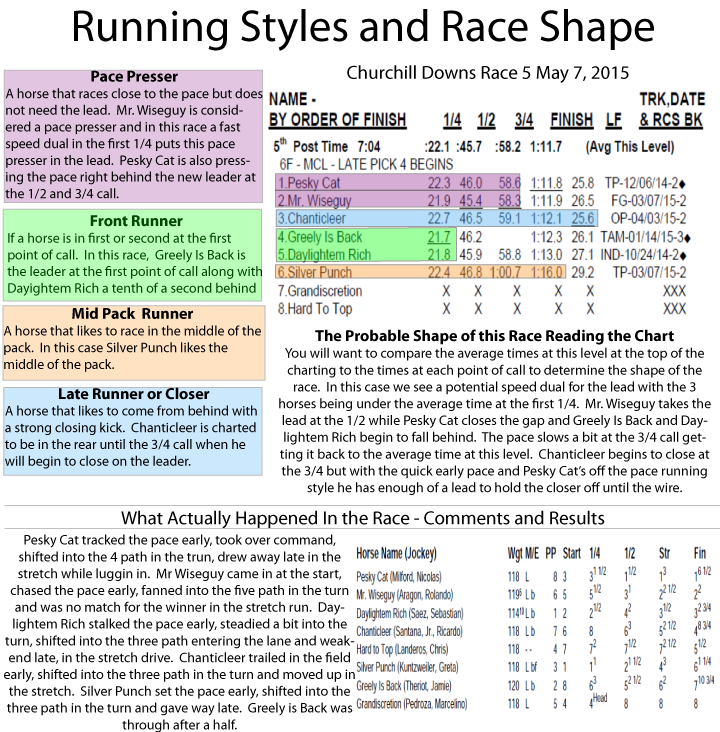 Effective pace handicapping requires that you know at least 3 things: 1) the running styles of the horses; 2) the pace figures of the horses; 3) the probable pace shape of the race. 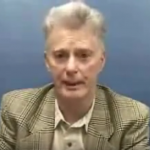 Fractional Charting gives you all three of these things. 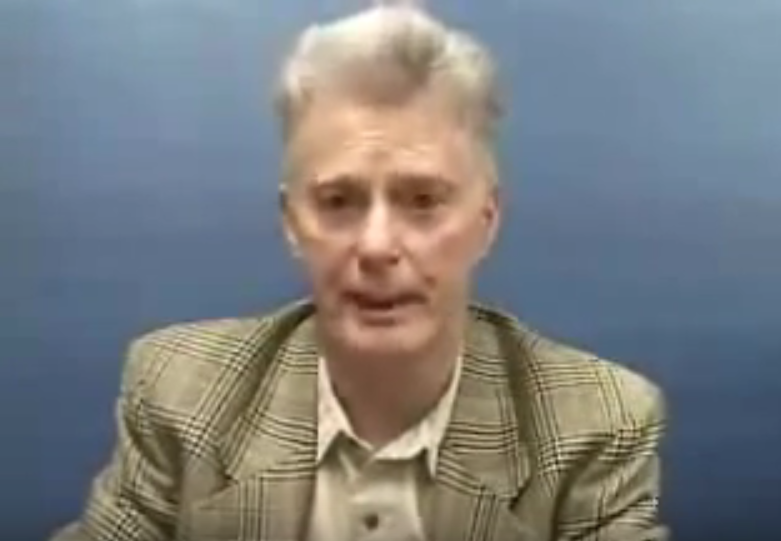 By adding Fractional Charting into your regular handicapping process you will be taking the next step beyond just looking at speed giving you an edge by being able to quickly and more accurately identify false favorites, hidden value, potential pace scenarios, likely frontrunners, projected early fractions, the swiftest closers, projected final times and more. 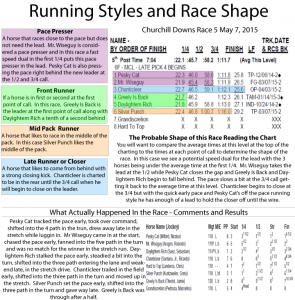 In Race 5 and Churchill Downs on May 7, 2015 (included in the image on the left with comments) is a good example of how the shape of a race can be determined once you understand the running style of each horse and the average times expected at this level. Both of these tasks are easy using Fractional Charting as is shown in the example on the left. Different running styles often determine the pace of the race. Often times one particular running style will do better in one type of race versus another. Additionally, if there are too many front runners entered it may lead to a speed duel where the likely favorite may run out of steam and allow an overlooked pace presser, mid pack runner or closer to come from behind to win the race. Fractional Charting makes it easy to identify likely front runners, the swiftest closers and determine which horses may have a pace advantage in each race. Through projected early fractions you can quickly see which horses will be on or near the lead and which horses will be strictly closers. 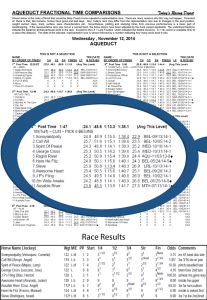 The best way to determine which runners might have a pace advantage is to pay special attention to those horses that have their pace numbers underlined. These underlined times are the fastest early times in the race and these horses may have a pace advantage. These underlined times also can help you see if a horse can set an uncontested pace or finish better than the majority of the field. Fractional Charting shows you the projected last fractions and finish times of each horse allowing you to easily identify those horses that have the ability to produce a fast closing kick. These final times take on a special significance in turf races where closing kicks take on added importance. 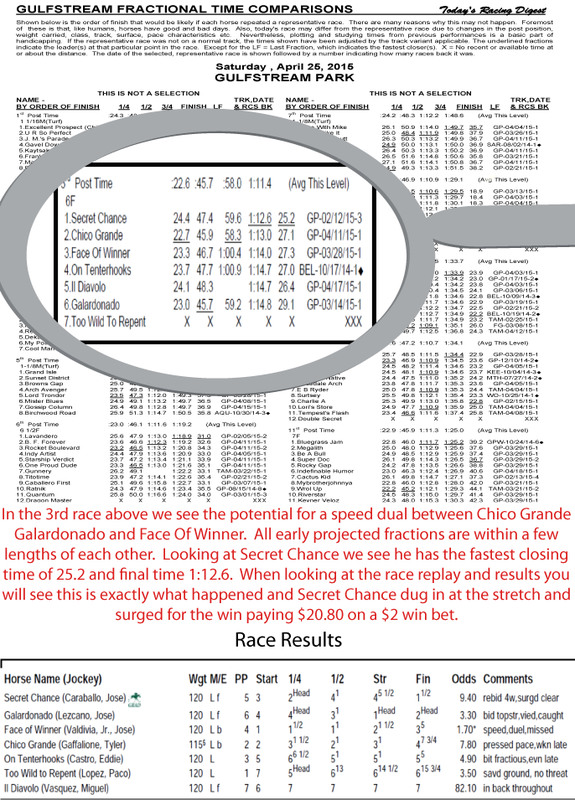 In the Turf Race, Fractional Charting example in the image above you can see SonnyandPally has the fastest late fraction of 22.9 (far right hand column) and Call Wil has the 2nd fastest late fraction of 23.5 indicating these two horses have the ability to produce a fast closing kick. The results of the race are shown below the Fractional Charting and a $2 Superfecta bet on the top 4 charting horses would have paid $669. Fractional Charting is a great tool for helping you play the pick 4, pick 6, trifectas, and superfectas. 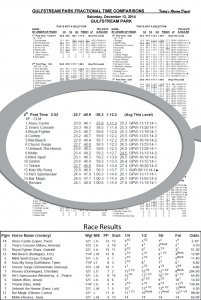 Each race horse is ordered by the fastest final times which makes the contenders and overlays easy to spot helping you make the best wagering decisions. 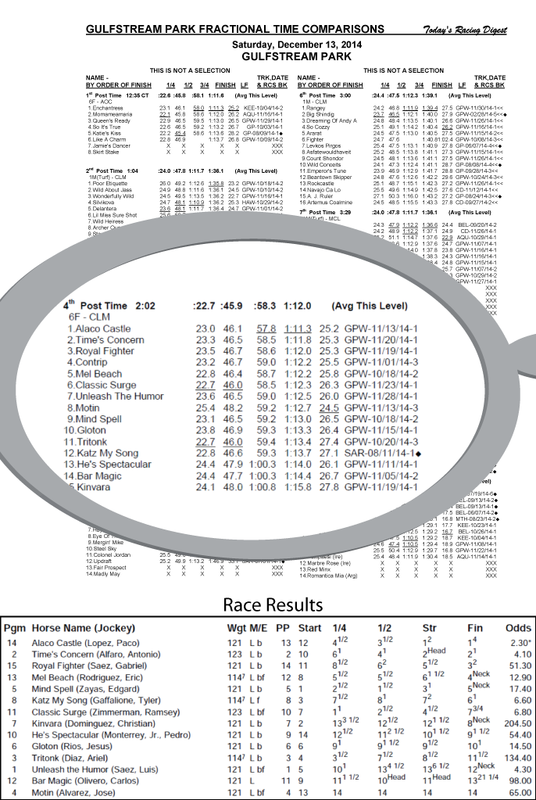 As can be seen in the Fractional Charting shown on the right the top 4 runners (Mel Beach was scratched) came in the order listed on the Fractional Charting. A $2 Superfecta Bet using the top 4 runners listed on the Fractional Charting for this race would have earned a $7,357.40 payout.